Everyone is up at the first shred of light because no one was really sleeping anyway. It’s well below freezing. I dump some granola and cookie crumbs into icy water and heat it up for breakfast. I want to get out of the cabin, but it’s hard to leave the little bit of sleeping bag heat. Once packed and on the trail, things immediately improve. Janel, Optimist, Captain Backup, Hopscotch and I are laughing in disbelief at what just happened to us. 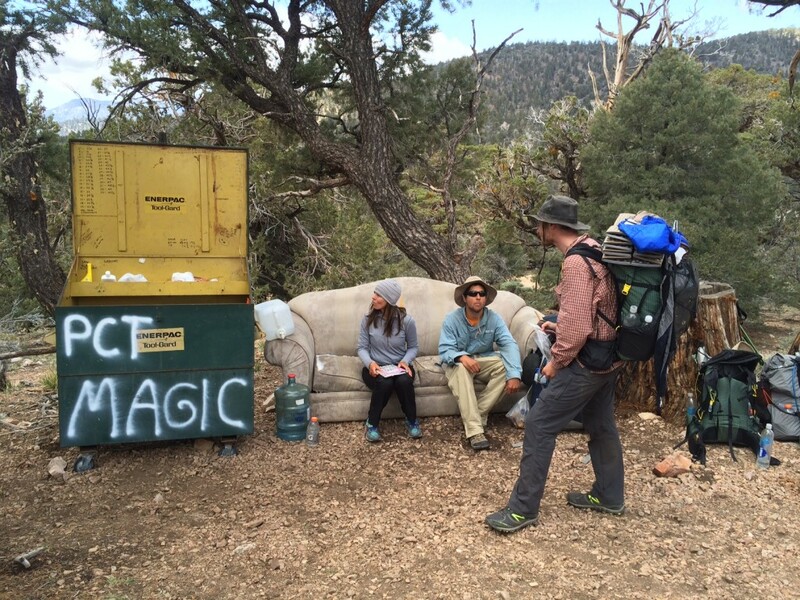 Now the sky is mostly blue and we encounter trail magic – soda, a couch, more soda! Our 20 mile day brings us to highway 18 and Big Bear Lake. 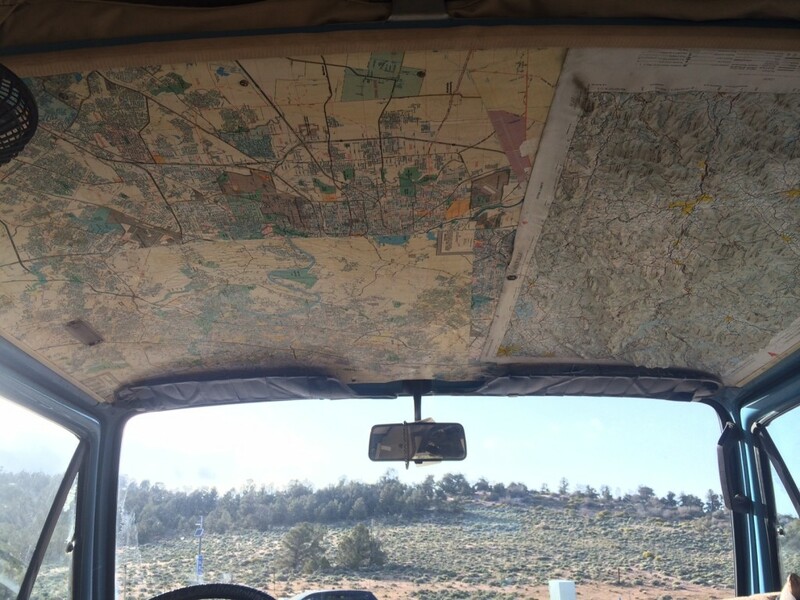 We’re just starting to wonder how to get into town when Rock Ocean, an AT hiker, pulls up I his VW Vanagon. I have a soft spot in my heart for these cars, having driven all over the US in one years ago. Rock’s is super nice with decoupage maps on the ceiling. Rock brings us to the hostel. A few hours later, we’re eating Mexican food and drinking mojitos. This trek is bipolar. 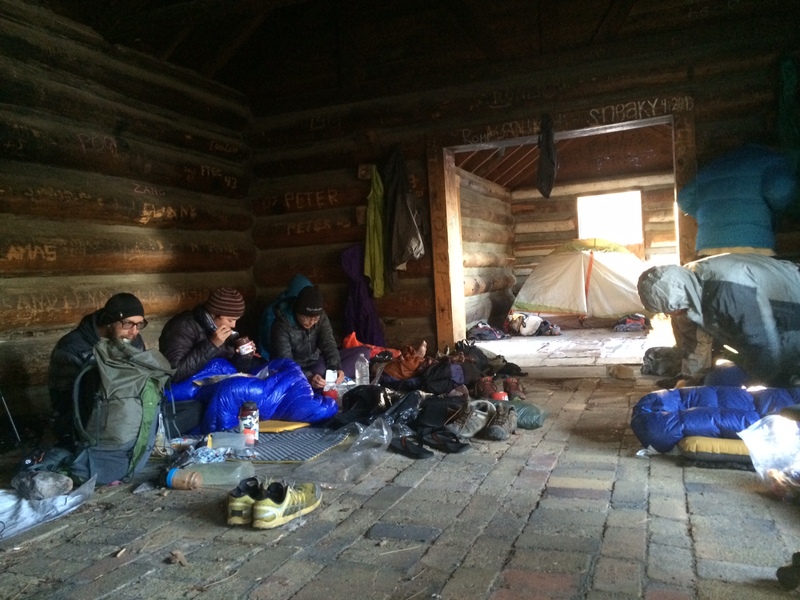 The PCT underscores that there’s no use freaking out about anything. It will all be different in a few hours. This entry was posted in Transmissions and tagged Big Bear, No Use Freaking Out. Bookmark the permalink.